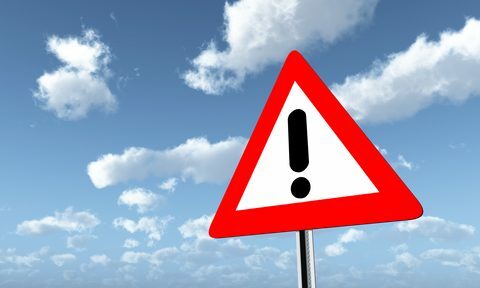 If you take any of the following nonsteroidal anti-inflammatory drugs (NSAIDs) for pain relief you are putting your life at risk: aspirin, celecoxib (Celebrex), diclofenac (Cambia, Cataflam, Voltaren-XR, Zipsor, Zorvolex), ibuprofen (Motrin, Advil), indomethacin (Indocin), naproxen (Aleve, Anaprox, Naprelan, Naprosyn), oxaprozin (Daypro), piroxicam (Feldene). This may come as a shock to you. After all, these drugs have been around for decades and many are available over the counter. 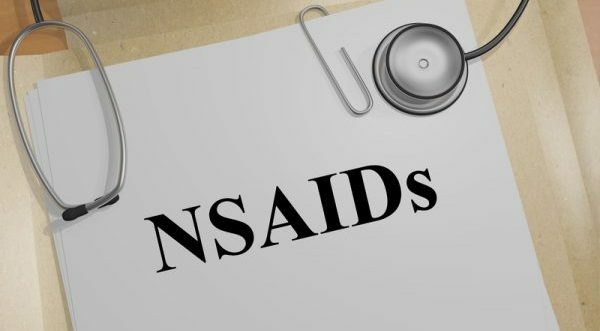 It has long been known that NSAIDs increase the risk of potentially fatal stomach and intestinal adverse reactions including bleeding, ulcers, and perforation of the stomach or intestines. 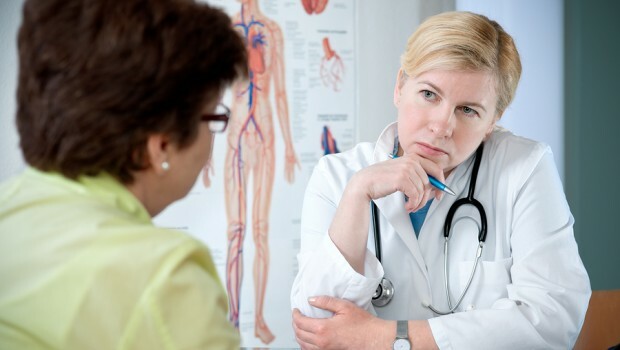 These events can occur at any time during treatment and without warning symptoms. Elderly patients are at greater risk for these adverse events. Aspirin, for instance, despite being less popular than in the past due to the availability of other options, causes over 3000 deaths annually in the United States. NSAIDs, except for aspirin, increase the risk of a potentially fatal heart attack or stroke, according to an FDA advisory issued in July, 2015. 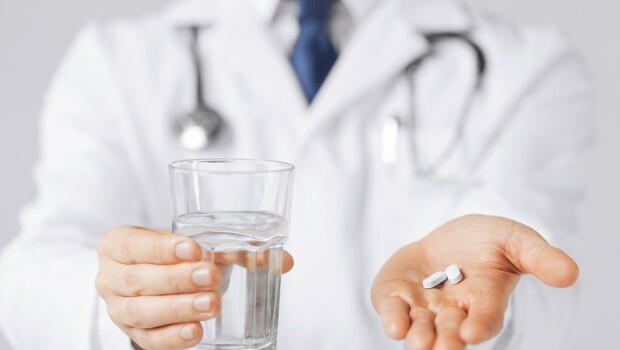 The FDA warned that “those serious side effects can occur as early as the first few weeks of using an NSAID, and the risk might rise the longer people take NSAIDs”. “There is no period of use shown to be without risk,” says Judy Racoosin, M.D., M.P.H., deputy director of FDA’s Division of Anesthesia, Analgesia, and Addiction Products. People who already have cardiovascular disease, particularly those who recently had a heart attack or cardiac bypass surgery are at greatest risk. However, “Everyone may be at risk – even people without an underlying risk for cardiovascular disease,” says Racoosin. Unfortunately, another widely available over the counter pain reliever, acetaminophen (brand name Tylenol) also carries significant risks. 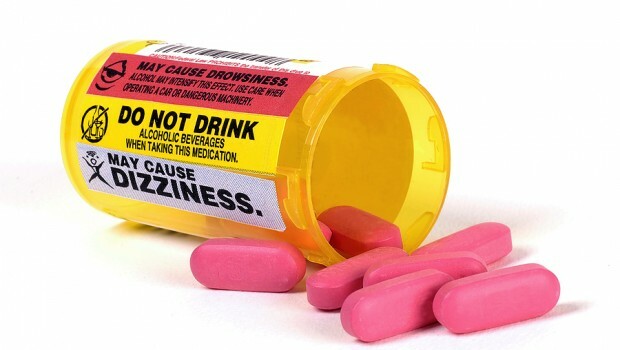 If used long term at higher than recommended doses or in individuals whose liver function is compromised, acetaminophen can cause liver failure. Liver failure is fatal without a liver transplant, and acetaminophen is the most frequent cause of liver failure in the United States today. With prescription opioids becoming increasingly restricted due to concerns about addiction, as well as growing evidence that they may cause more pain over the long term, what can a chronic pain patient do? Fortunately, there are many safe and effective natural treatments for chronic pain. Here are some things you can take for pain relief: medical marijuana, CBD oil, kratom (a Southeast Asian herb that the FDA and DEA are currently trying to ban based on false allegations that it is unsafe), wild lettuce, turmeric, omega 3 fatty acids, homeopathic remedies such as arnica, ruta or hypericum, magnesium, vitamin D3 and many other herbs and nutrients. Here are some things that you can do: acupuncture, biofeedback, chiropractic, EMF treatment, exercise, hypnotherapy, low level laser therapy, massage, nutritional therapy, physical therapy, psychotherapy and much more. Some combination of these treatments can not only reduce your pain, they just might heal the underlying problem and eliminate your pain for good. 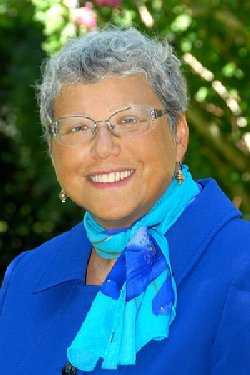 Author Cindy Perlin is a Licensed Clinical Social Worker, certified biofeedback practitioner, chronic pain survivor and occasional columnist for the National Pain Report. 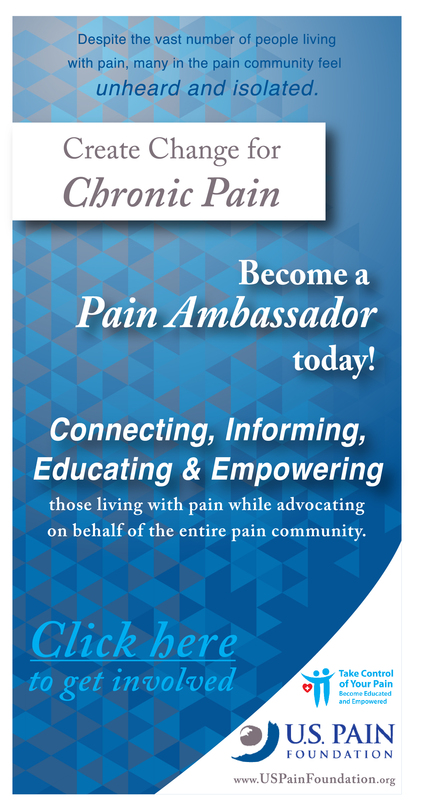 To find out more about safe alternatives for pain relief, visit the online Alternative Pain Treatment Directory or read Cindy Perlin’s book, The Truth About Chronic Pain Treatments: The Best and Worst Strategies for Becoming Pain Free. I’m in kidney failure because my “pain specialist” yelled at me. Opiates will kill you. NSAIDS are much safer. Last time I saw him I said “thanks doc”, now I am facing a slow, painful death with kidney failure vs. an unlikely accidental overdose where I would have gone gently in my sleep! Tim Mason, I am very widely read on alternative medicine and I have never found any evidence that “Regular chiro visits have been know to increase inflammation and have a “wear and tear” effect on the joints similar to OA.” There is a lot of misinformation around about chiropractic spread by those who see it as competition. In addition, there are many other alternative treatments that can be effective if you choose not to do chiropractic. Low leve laser therapy, physical therapy, acupuncture, massage, mind/body approaches including relaxation and biofeedback, can all be effective for treating back pain, regardless of the presence of “disc disease”. Everyone, as they age, has degenerated, bulging and herniated discs. Most have no pain. My sister does many of those alternative treatments, but still needs opiod medications for breakthrough pain. She has Chiari I and has had 30+ orthopedic surgeries over the past two decades. She was offered Tylenol after her brain surgery! Chronic pain patients are no more “addicted” to their medications as diabetics are to their insulin or heart disease patients to their blood thinners. In NY, medical marijuana is all or nothing — if you sign up, your narcotics contract is broken and good luck getting it back. I know both sides of this story, two of my nieces are recovering heroin addicts. Please Don’t Punish Pain. I have mixed feelings about this article. While some suggestions are reasonable and possibly helpful, and certainly it’s a good thing to highlight the dangers of some OTC medicines, the mention of Homeopathy and Acupuncture discredit, to some extent, the rest of the article. I grew up in a family that used almost exclusively alternative medicine, Homeopathy in particular. Not only Homeopathy doesn’t work, it cannot work. There is no scientific method by which it can work and even if there was some evidence of “nanoparticles” remaining effective (there isn’t), the basic principle of Homeopathy is wrong and discredited. Similia similibus curantum means “like cures like”. Like chiropractic, Homeopathy has its roots in the discredited theory of “Humors” which in turn goes back to classical Greece. Until the end of the 1800s, medicine was still firmly anchored in things like Humors and bloodletting. These alternative approaches can work, for those that believe in them. But they don’t work for the reasons they think they do. I grew up in the care of one of the most famous homeopathic doctors in Europe. He had the good sense of using standard medicine whenever an illness presented that wouldn’t go away on its own eventually. My family suffered from several grave illnesses, amoeba histolytica, various tropical diseases (my father was a UN official), not once Homeopathy was used to treat these more severe conditions. Even as a child, I had my doubts so I run my single blind test by not taking the homeopathic medicines to see what would happen. Nothing did, except my mother was very proud of how well homeopathy worked for my sniffles, where in fact, I spit out the pills. We were lucky we had a homeopath that didn’t shy from using regular medicine, but I worry for those that put their faith in this discredited form of … Medicine? Most definitely, not even my old doctor would venture to claim that homeopathy could treat even milder forms of pain, and certainly not the kind of intractable pain discussed on this website. What is left to those of us who have been forced off effective pain medication and have tried just about everything else with no relief? I fear trying kratom which may or may not be effective just to have that too taken away, I don’t think I could emotionally handle that? I’ve spent thousands of dollars on alternative methods of pain control to no avail. Repeating the same lines don’t make alternative treatments any more effective than it did the first time. I realize you are just trying to help but I, for one, am sick and tired of hearing the same thing repeatedly! I fear that if one more person tells me how ineffective and dangerous opiates are and how many “safe and effective” alternatives there are I am going to lose it!! I can see where mild to moderate pain might possibly be helped by the placebo effect but real pain that has lasted for many years isn’t usually! When cpp’s join the alternative anti opioid hype it only hurts those of us who get relief only with certain pain meds. I tried everything for years and had 8/9 years of relief for which I am thankful but the end result is that now I have only increasing pain to look forward to! I tore my gut up with nsaids and in trying to find relief from pain I accidentally discovered that rso helps to give temporary relief for that and when taken regularly helps my digestion, but doesn’t help my pain. Anything other than fentanyl and dilauded at a fairly high dose that gives me even momentary relief is either unavailable in my area and is most often cost prohibitive when available (that’s really saying something when you look at the cost of fentanyl!). Acetominophen and other non-opioid painkillers are mixed with opioids to heighten the pain-relieving effect and to reduce the amount of opioids needed, not so that addicts will get sick when they use too much opioids. In fact, liver failure and the other negative effects of other painkillers are often without any warning and generally occur after a significant period of use. Those who are truly addicted to opioids don’t let the possibiity of death deter them, which is why overdoses of opioids occur so frequently. Many who overdose and are revived immediately start using again. Death from opioids comes from respiratory depression, in other words, they stop breathing. Suzzane Brill, There is in fact scientific evidence that homeopathic remedies work and the most recent studies also indicate that there are nano particles in the homeopathic solutions that are responsible for their effects. In addition, kratom is not dangerous, and certainly not as dangerous as heroin. In its most recent statement, the FDA struggled to come up with 44 cases over a two year period in which they claim kratom is “related” to fatalities. This is fewer than the number who die from opioids in the United States in a day, and in all of these cases the deceased had drugs in their system, including opioids and benzos, that could have caused the death. Furthermore, the FDA used junk science, a made up, unvalidated process, to determine that kratom is an opioid. You can see the FDA statement here: http://bit.ly/2EBLQy9 and a well-respected scientist’s rebuttal here: http://bit.ly/2EDCnXm. Kathy C, the idea that alternative treatments are dangerous, ineffective or without scientific proof is the real misinformation campaign, spread by those, i.e. pharmaceutical companies, who have the most to gain by this misinformation. In addition, all supplements available in the U.S. must adhere to truth in labeling laws and good manufacturing practices so it is not true that they are unregulated. Also, many companies in the natural supplements industry do standardize their products to a certain potency If you want to know the truth about what is safe and effective and what is not, you can read my book, The Truth About Chronic Pain Treatments: The Best and Worst Strategies for Becoming Pain Free. It has over 600 references to scientific articles and interviews with many experts. Hi Cindy, Please take no offense, but… once again, after another of your informative and appreciated posts you see comments telling you over and over that the moderate to severe chronic pain community tends to do best with our pain meds. Not to say that some of us also already incorporate some of your suggestions along with our opioids. We have truly been through it all! take walks and do light yoga when my disabled body allows me to. I can’t tell if any of it helps but I keep trying. Yet, there is no rhyme nor reason for when writhing PAIN shuts me down for days on end. If not for my meds… I wouldn’t be able to survive. Our bodies are extremely complicated. Most of us have tried a lot of your suggestions and know ‘FOR SURE’ what works best for us. Your suggestions tend to be for folks with much lesser pain issues. There are many many conditions that cause great and constant pain. Again, WE are our best experts and WE need to be heard. I’m sorry, but as soon as this article mentioned homeopathic remedies as an alternative, I stopped reading. All the scientific evidence available says that homeopathic remedies are basically just sugar pills. I’ve also seen a lot of research showing that kratom is as dangerous as heroine which is why it is banned in most countries and many others are moving to banning it. They always leave out the fact that these “Alternatives” are more dangerous in many ways than opiates. The “Natural” Remedies and “Treatments” are neither “Effective or useful for long term Chronic Pain. The continual mass marketing of these “Alternatives” has created a misinformation campaign which is probably more dangerous than the Addiction problem. It would be really nice to see a little Science presented as information, rather than a few facts, sprinkled with nonsense. Medical Marijuana may help alleviate some symptoms of chronic pain, but it is not a cure all. Thanks to the failure of the FDA to standardize any of the herbal treatments, it is unlikely that these “Alternative” even contain the active ingredients. The Industry has been careful to avoid Standardization, and Science, it is more profitable that way. Here in the US we have no idea of these products even contain the active ingredients. The so called Studies are designed to mislead. In the age of Fake News, and Pseudo Science, it might be a good idea to stick to facts and Science. Too many people seem to think that if its natural or OTC that’s its safe….that just isn’t necessarily true. If it has the potential to help, it also has the potential to harm if used incorrectly, and some are just bad from the start. I have chronic pain, and I’ve tried so many of the alternative treatments and not one of them work for anything more than minor pain. Sure, a massage feels good, but I can’t afford the copay for one every day, and it still doesn’t relieve severe chronic pain…..not for any amount of time. It helps relieve stress, and therefore would help with some symptoms of one of my chronic illnesses, but I could never afford to have It as often as I could use it, and it wouldn’t resolve anything. I’ve tried cognitive behavioral therapy and that wasn’t a good fit for taking care of anything, either….it was basically just a poor way to distract myself from what was going on, but it does nothing to resolve the problem either. The only thing that is helping me with my chronic pain (but not getting rid of it completely) is opioids. No amount of supplements can be substituted for them……opioids are just what work. I’m tired of being made to feel like an addict or a junkie just because I know what works to resolve my chronic pain. I’ve only had one medication increase in the last 6 years and it was a small one. Still, it was my insurance company that tried to refuse the increase saying it was over their “safe” limit of 90mme/ day. It should never be up to an insurance company how much or what you take…..if the Dr has prescribed it and they cover the medication in the first place, its not their place to pretend they are Drs or try to restrict your usage for your “safety”……if they really cared about our safety they wouldn’t allow more than 75% of the medications that are prescribed to be let out the door! In answer to Kim’s comment, yes, stomach bleeding is an increased risk when surgery has been done on the stomach recently. Surgery is a process of cutting the body with a knife. If you cut your finger with a knife while cooking and you begin bleeding, you will notice that any slight bump to the wound can re-open it and make it start bleeding again, until it has had several days to heal up. Your stomach works on the same principle as your finger. If a surgeon cut your stomach with a knife, it has to heal before it is able to take any kind of stress, or it may start bleeding again. So definitely any sort of drug that thins the blood or inflames the stomach, should not be taken for several days after stomach surgery. Also, if one gets a stomach infection that can cause bleeding, such as the Helicobacter pylori bacteria that cause stomach ulcers, any kind of drug that inflames the stomach or thins the blood or both, increases the risk that the ulcer may bleed. Poppy-derived opioids that contain no additives, are safer for the stomach because they do not thin the blood or cause bleeding. Our cells naturally make some morphine from the tyrosine in the proteins we eat. That’s why opioids are the drug of choice for severe pain. We’re naturally adapted to morphine. Many commercial opioids mix a poppy-based opioid with other drugs, strictly so that a person who tried to consume enough of the medicine to get high, would become very sick from the other drugs in the medicine. For example, Vicodin is hydrocodone mixed with acetaminophen. To take enough Vicodin to get high, one would have to damage one’s liver. This practice was borrowed over a century ago from the whiskey industry. The US Treasury taxed whiskey. People who wanted to use alcohol as paint thinner or for degreasing metal parts, didn’t want to pay the tax, so the Treasury allowed them not to pay the tax, if they mixed poisons with their alcohol that made it unsafe to drink. This is called Denatured Alcohol. The same thing happens when aspirin or acetaminophen is mixed with opioids…overdose becomes dangerous, which deters addicts from using the mixed substances, at least in theory. I had a GI bleed in 1998 after my PCP told me Lodine was not an NSAID, tho I told her I knew it was. I am a RNY gadtric bypass patient, also with early onset Osteoporosis and now failed back fusion at 2 levels plus Cauda Equina Sx from the MISdiagnosed herniation of T11-T12. I did very well on a Fentanyl Patch and Norco 3x day…over 7 yrs…and with several Pain Mgmt MDs. Now, for no reason but paranoia BOTH meds were removed wothout any taper or notice. Then my PM doc held my records ‘hostage’ x 7 months until an attorney friend called his office reminding him of the HIPAA laws. I haven’t even tried finding another PM doctor as I cannot afgord the copay to get told the same BS all the others above have been told. I had some life on those meds, drove, volunteered, went shopping, walked the dog daily. Now, I am house-bound, taking 3 ES Tylenol every 6 hours around the clock and plan my out of bed time around taking them. I know I am killing my liver, but we shall see what happens next. I bet Medicare will refuse to pay for a liver transplant for something they have partly caused. I gave 40 yrs of my life to others as a RN…and this is the thanks I get. yeah, i agree with all of the above. I have lyme disease and it ate away at my cervical spine, had to have 3 discs replaced, one a fusion with cadaver bone. the surgeon told my husband, when he went to replace my disc, it was all just powder. eaten by something. I developed other illnesses that took me from a back pain patient to full out entire body neuropathy. the worst is in my hands. i cant cope without opiods as pain is almost too bad to take as it is. My fingers are bent and twisted like an old lady’s. its in there now, doing its thing. so, yes for me, we must keep our opiods until they develop better ways to treat these types of infections. Anything can be “dangerous” or can be “life threatening” if taken incorrectly. I am unable to take Motrin or Ibuorofin because I have had kidney failure and I have stage 2 chronic kidney disease. But I feel if you take anything that your physician and you together, feel is a good course of action; usually it’ll be OK. Only bcz your Dr. knows what you should & shouldn’t take and how much. Opioids can be dangerous if taken irresponsibly, and even too much exercise can hurt you. It’s all about moderation. If taken as prescribed, many things can be much more safe. Thank you for mentioning kratom and other natural alternatives. I suffer from Syringomyelia a painful spinal cord disease, sciatica, spinal stenosis, scoliosis and degenerative disc disease and for 10 years was taking fentanyl, oxycodone and more until I discovered kratom and other herbal remedies. I now am free of those pharmaceuticals and their side effects and am doing much better. Opiods are the only safe meds, huh? I’ll take it if only my doctor wasn’t handcuffed to new monthly, sometime weekly laws preventing him from treating chronic pain patients with history unknown to those making these laws and decisions. NOW, what else ie no ibrupofin, aspirin etc taken in moderation just as opioids. GROW POPPIES FOR CHRISTS SAKE! Let’s get moving on legalization of opium now that we’ve finished with marijuana. And screw the pharmicutical money pit to the world! The government and their little ignorant peons. If something makes people feel better and function, oh it’s a no-no. Alcohol is a bigger and a far more scary and more deadly DRUG! Statistics for alcohol far out way your make believe Opiod statistics-Deaths, od’s. ALCOHOL KILLS PEOPLE, OPIATE’S KILL PAIN NOT PEOPLE! Only chronic pain patients whom are killing themselves are the ones being cut off meds. Myself, I’ll blow my head off! Yes, I’m a gun advicate too! I wouldn’t want my Dr to be held responsible if I took an overdose because I can’t get the meds I need. Too many great Drs are being stripped of their life’s work because of the foul language you speak against them. Too bad it’s not that easy to arrest and jail liers such as all you folks involved in this folly. We have potential wars coming. WAKE UP! PUT YOU ENERGY TO PREVENTING IT WITHOUT MAKING A FOOL OF OUR BEAUTIFUL COUNTRY! I almost bled to death from NSAIDS back in the early 1980 when the AMA was using me as an unpaid Ginny Pig. I found that by using opiates for a 2 or 3 week period 2 or 3 times a year controlled my chronic inflammation. This drug therapy was effective and discontinued because DEA sycophants like this author. Now I am forced to use unsafe means to treat myself. I was diagnosed with juvenile onset rheumatoid arthritis at the age of 10 and thrown out a third story window at the age of fifteen. I have used opiates for 50 years and I am not an addict and I am not dead though your profession continues to remedy that every chance they get. I took aspirin, celecoxib (Celebrex), diclofenac , ibuprofen (Motrin, Advil), (Indocin), naproxen (Aleve, Anaprox, Naprelan, Naprosyn), oxaprozin and (Daypro) over the course of 5 years. The last one I took was Celebrex. I lost 50 pounds and started passing dime size blood clots. Then they got larger, up to a half a dollar. It felt like a bolder was moving thru my gut. I got an upper GI and the that performed the procedure told me I had a massive bleeding ulcer. I took Carafate for three months and ate bland baby food. As a sideline to this article, I have also tried all brands of SRI, SSRI and nSRI for anxiety. These in include Cymbalta, Celebrex and the pain medication Nucynta. I had worsening depression and anxiety and the Nucynta increased my intracranial pressure. You are right, Just because it says OTC does not mean it is save. Even water has an LD50 of 6 liters. Commons sense has gone out the window. “Natural” isn’t always without side-effects. It gets a halo, though. Sadly, there’s less research done on natural treatments, so long-term effects aren’t known. We know the risks of pharmaceuticals. We don’t know the risks of natural treatments. We don’t even know the recommended dosages for natural treatments. I do use some natural treatments. I read the title of the email notice and thought, “Great, now they’re going to take away NSAIDS, too.” I’m so glad it wasn’t what I feared. I feel persecuted by our politicians and government. I’m not in a good place anymore, and I thought that as I learned to live and adapt to my chronic pain conditions, that life might get better. I was in a pretty good place before opiods came under attack. Now just the word carries a load of meaning. I dread when I can’t work any longer, can’t support myself. Before my NSAID and opiod, I used to go to work and cry in the bathroom or at my desk. I feel for the people who are there now, or who are unable to work. I am afraid to try the “natural” items for chronic pain because you don’t know what you are getting. None of the natural substances are regulated. Too many horror stories about these items. Of course, this could be false news put out by FDA since it is run by big Pharma. Where do you get CBD oil and we don’t have medical marijuana in Tennessee. They are trying to get it passed but it would only be for certain conditions and chronic pain is not one of them. Are you serious? Those alternative treatments are not strong enough to treat nerve pain and conditions like CRPS. Yes they can help a little but not enough to substitute opioids. 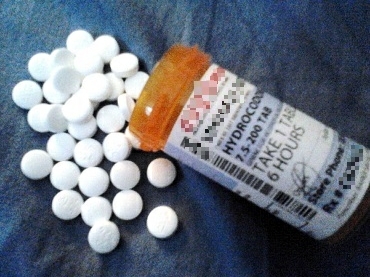 I really dislike having to take opioids but until there is something strong enough to treat my pain, I have no choice. Also most of the alternative treatments are not covered by insurance. I found acupunture and massage helped a little but I can not afford them especially while we’re constantly under attack from Disability Insurance companies. I’m wondering how many deaths and serious issues will be caused by the constant attacking of pain patients by the media, some healthcare professionals, Disability and Health Insurance Companies etc. It’s already awful to be in pain everyday without all these stressors too. How much more can we take? Since biofeedback was not reimbursable by insurance companies, it was hard getting anyone, insured or uninsured to use it. I, personally, learned early on how to use it for my myofascial pain associated with my fibromyalgia. Thank you for this informative article. I curious to know if people who have had any stomach surgeries like gastric bypass, gastric sleeve & such are at more risk of serious complications from NSAID’s? When I first found out the results of my lower spine, I was taking advil thinking it might help my spine, but all that happened was that I took anywhere from 5-8 at a time. They would work for maybe an hour. I knew that was no good for my me. I have done acupuncture, epidurals, chiropractor. Basically every and anything that is out there and the only thing that works for me is the 2 pain meds that I take. They work wonderfully. But just to put out there that there are a lot of people in my situation that have tried every thing out there that is offered and does not help us. Let us be and let us live!!!! All good ideas for those with minimal chronic pain. For those with bone pain, these options will not touch that. If one has ever had bone pain, they would know. In the next 10 years, the incidence of LYME will be epidemic proportions. Every biting insect can transfer and one will not know. Some of the Lyme group of bacteria get into bone marrow and happily chomp away. Most Lyme loves collagen. Once the collagenous tissue is eroded, one is left with bone on bone, and surgery after surgery to fuse joints together. It is good to offer options, but unless you, ma’am have firsthand bone pain experience on an ongoing basis, you cannot be expected to understand what helps. Those with auto immune arthritis, which Lyme also can cause besides genetics playing a role, or have EDS are widely taking meds listed in here, that hurt themselves. I for one have taken overdoses of advil to help with hammer toe surgery. As always politicians and people do not care about our poor, our hungry, our ill people. No more re-election for these folks if they move to repeal the act to protect chronic pain patients. Great post for those with plenty of money and time to get all these modes of help, have only flesh pain, and for people not so bad that they are able to ambulate, go to grocery still, cook food, participate in society. Btw, Medicare does not pay for many of these. Can’t even get proper dental care, herbal help, biofeedback, or continuous physical therapy on medicare. She doesn’t realize how bad chronic pain makes you feels apparently. You can’t slepp, sit, lay down, walk, nothing but nothing makes ypu feel any better. Thank you for enlightening us, me especially, on the dangers of advertised “safe and effective” over the counter pain medicine. I have multiple health conditions that keep me in constant 24/7 pain and Ibuprofen is all that is available to me. I love your alternative treatment suggestions but, unfortunately for me and many others, none of these options is available (except for a few herbs and supplements which I have tried and they did not work). So, that begs the question, where does that leave us?